When Trevecca’s first Six8 Fellowship intensive kicks off on July 8, participants won’t just be a part of another summer camp. The initiative, funded by a $536,500 grant from the Lilly Endowment Inc., immerses students in ministry and the study of theology, but also connects students with small groups and mentors who will stay in touch long after the summer is over. The first Six8 Fellowship intensive runs July 8-15. During the week, 10th- 12th graders will immerse themselves in a seven-day summer intensive that includes both teaching and ministry opportunities. Students will learn from scholars and professors, two from Trevecca and one outside faculty member. Winstead and Hiland say that each year, the Six8 Fellowship will focus on a different theme, all designed to help students grow spiritually. This year’s theme is “Who is my neighbor?” During the summer intensive, the organizers want the students to really focus on how they can love their neighbors the way God has called them to. Students will participate in many social activities to help them wrestle with the question “Who is my neighbor?” throughout the week, according to Hiland. Winstead believes that the program’s emphasis on mentorship is the key characteristic that sets Six8 Fellowship apart from similar programs. After the summer intensive is over, students will remain connected through a year-long mentorship. To help the students stay connected, Six8 Fellowship will use social media platforms to keep the conversation about loving our neighbors going. The hope is to help the teens integrate what they learned during the week into their everyday lives. 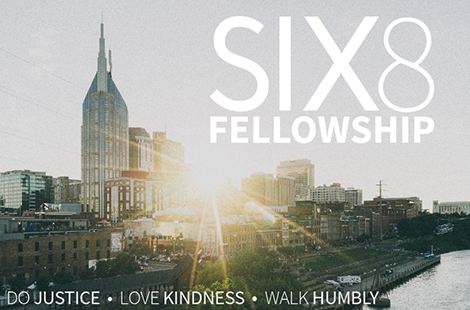 In the future, Winstead hopes that Six8 Fellowship becomes a bigger presence at Trevecca and throughout the city. The final goal of Six8 Fellowship is to prepare the youth to be disciples of Christ by giving them the tools they need to empower their own communities.